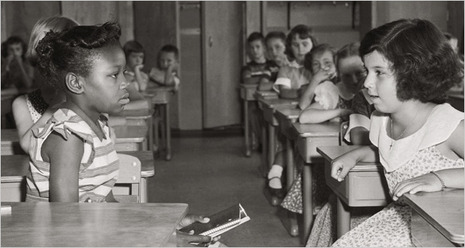 Brown v. Board of Education of Topeka, 347 U.S. 483 (1954), was a landmark decision of the United States Supreme Court, which overturned earlier rulings going back to Plessy v. Ferguson in 1896, by declaring that state laws that established separate public schools for black and white students denied black children equal educational opportunities. Handed down on May 17, 1954, the Warren Court's unanimous (9-0) decision stated that "separate educational facilities are inherently unequal." As a result, de jure racial segregation was ruled a violation of the Equal Protection Clause of the Fourteenth Amendment of the United States Constitution. This victory paved the way for integration and the civil rights movement. The 1954 United States Supreme Court decision in Oliver L. Brown et.al. v. the Board of Education of Topeka (KS) et.al. is among the most significant judicial turning points in the development of our country. 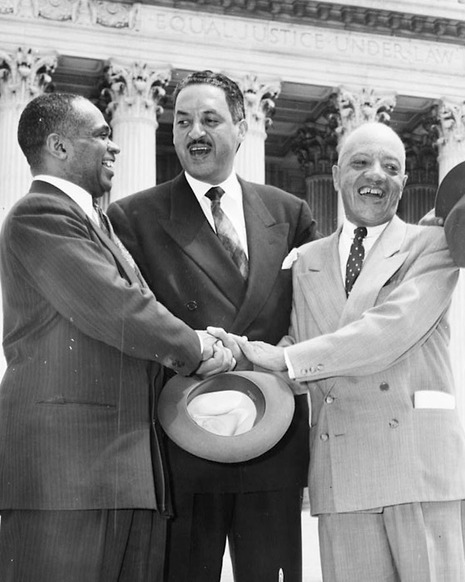 Originally led by Charles H. Houston, and later Thurgood Marshall and a formidable legal team, it dismantled the legal basis for racial segregation in schools and other public facilities. By declaring that the discriminatory nature of racial segregation ... "violates the 14th amendment to the U.S. Constitution, which guarantees all citizens equal protection of the laws," Brown v. Board of Education laid the foundation for shaping future national and international policies regarding human rights. Brown v. Board of Education was not simply about children and education. The laws and policies struck down by this court decision were products of the human tendencies to prejudge, discriminate against, and stereotype other people by their ethnic, religious, physical, or cultural characteristics. Ending this behavior as a legal practice caused far reaching social and ideological implications, which continue to be felt throughout our country. The Brown decision inspired and galvanized human rights struggles across the country and around the world.